After having my first baby, I realize now as I research many different topics I didn’t know during that time and wonder, why didn’t I know about this before? Another product I came across along with a substitute for prenatals, Insoles, Baby Toddler Spoons, and shirts that have multiple purposes, I have now found these amazingly soft, and chemical free baby wipes. WHY did I not know there were alternatives to the regular baby wipes I would by at all the retail stores? Every time I used to wipe my daughter after going to the bathroom with regular wipes, she would always complain that they were too hard or they would hurt her. At the same time, I took to using baby wipes to take off my make up as well. But they are rough – there is no softness about them, but we just dealt with it because that’s what we had. After trying out the Water Pura wipes on myself and my daughter, I don’t think I could ever go back. They are so soft. After you use then, your face feels soft and not automatically dry. After I use them on my daughter’s bottom, she did not complain at all about the wipe being to hard or too cold. It was quite amazing. The added bonus was that there are no chemicals in it. The wipes are they made in america, chemical-free, and mommy-made – bigger and stronger so they don’t tear very easily. All amazing things that are needed in a wipe. Like I said before, why did I not know about these before?! Lastly, I will leave you with this: if you are thinking that the cost will be higher because it is a clearly better made product than the wipes in the grocery/retail stores, well think again. 9 packs for $31. I mean, you can’ really beat that for a high end product! Chemical-free and so, so worth it. 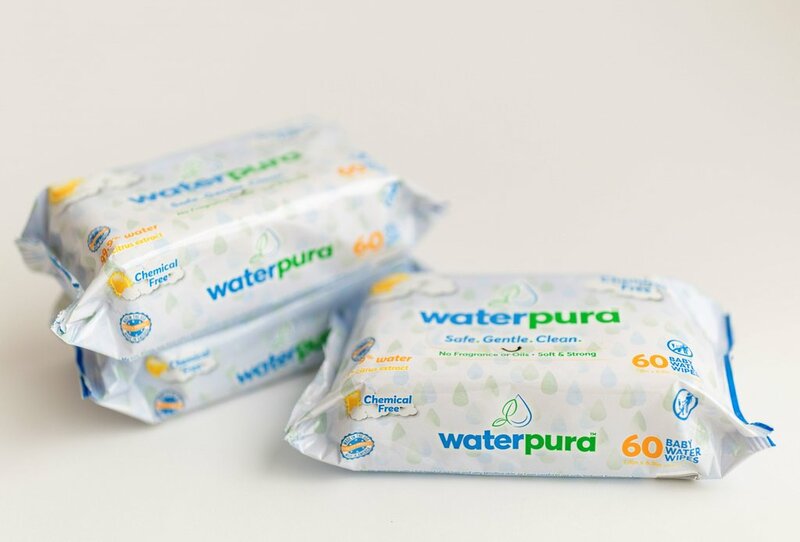 Check out Waterpura baby water wipes! Don’t believe it? Watch this video…..I wish I had seen this when Hailey had diaper rash all of the freakin time!